I would like to apologize for any inconvenience and stress resulting from the miscommunication provided by our Customer Service agent. It is discouraging to hear of your negative experience and that you were not treated with the respect you deserve. Most importantly, however, your full refund was issued and you were given the refund transaction information to provide to your bank on the day you posted your review (12 business days after cancellation). When you cancelled your reservation on March 20th, the charge was “en route” for processing but you had not yet been charged. Because the charge was “en route” when the reservation was cancelled, the charge could not be stopped. As a rapidly growing we are not always perfect, but I can assure you that customer satisfaction is our main priority and I can be reached at James@bookvip.com to resolve any issues which may arise. We will send over 300,000 families on dreams vacations alone this year! 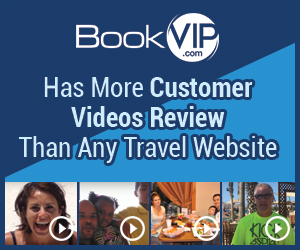 We have more actual customer video reviews than any other travel site. http://bookvip.com/sitereviews. I placed a reservation for a timeshare in FL on the 19th of March and called back on the 20th to cancel. I was sent an email confirming cancellation and was told by the rep and via email that if my account was charged I would see refund within 5-7 days. It has almost been a month and still no refund and each time I call I am being told I was never charged. I was told the same thing on today and sent rep a copy of the credit card statement so that she could see charge and she is still saying I cannot be refunded. I am very upset and disappointed in this treatment. Not only will she not process refund but when I asked to speak with a manager I was placed on a long hold then hung up on. I don't know what I need to do to get my money back but I want my money now!! Review #824063 is a subjective opinion of User824063. Have you stopped payment on your credit card? I would contact them and tell them the circumstances and that it is a fraudulent charge.